This area is dedicated to help parents / carers of our Year 11 students make the best possible progress. Year 11 Advice booklet contains details of the exam board, suitable revision guides, websites and useful tips. 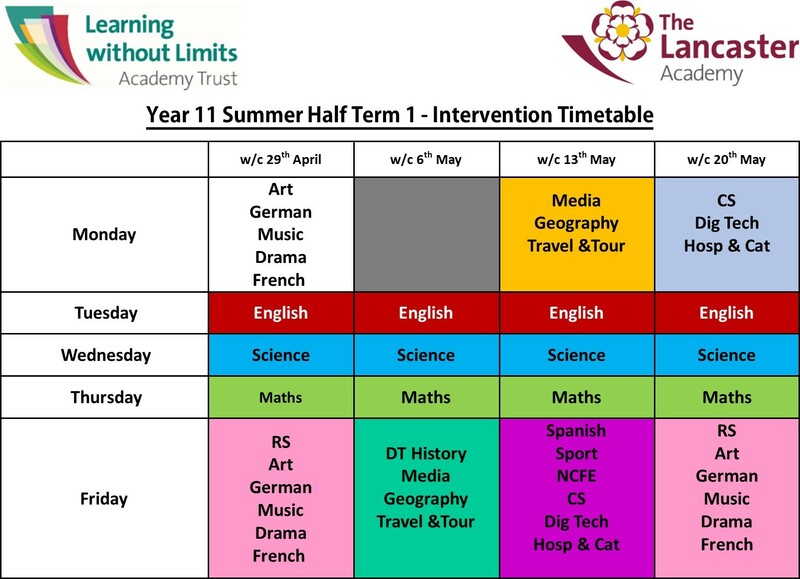 Intervention - As part of our continued effort to support our students to make the very best progress in their GCSE exams, intervention sessions are delivered after school by Lancaster staff.